Biafra: Order Biafra Telegraph Magazine Now!!!! 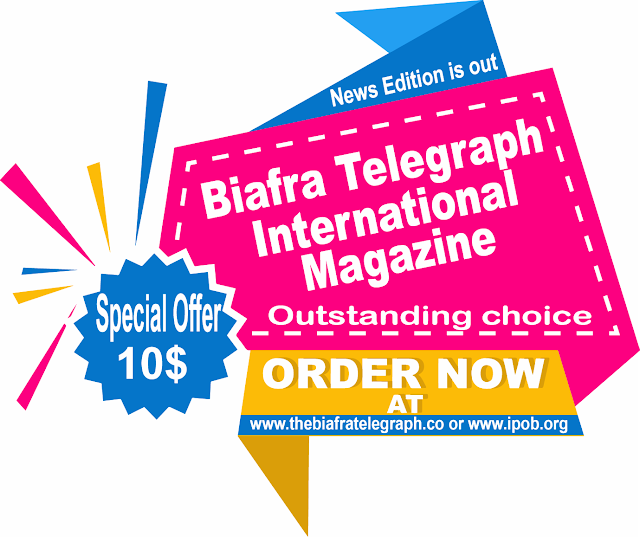 IPOB members should subscribe through their family units round the world, And others can subscribe for their copies online. The above price and shipment cost is for personal or individual order, you can place your order and pay through our pay pal account. The shipment cost is anywhere in the world.